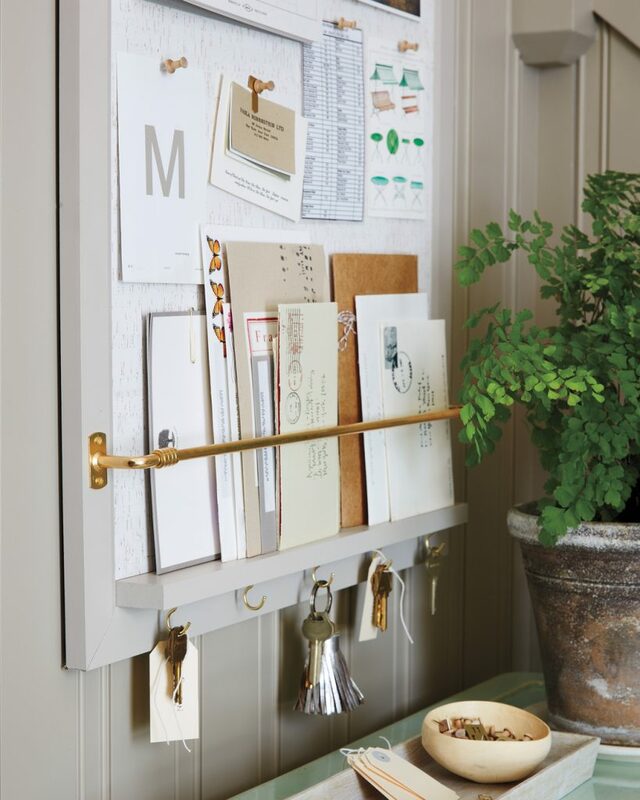 When you need to do more than just clip photos and notes, check out the Entryway Organizer project from Martha Stewart. By adding a ledge, rod, and brackets, you can transform a simple bulletin board into something far more versatile: it can hold mail, packages, keys and more, all without looking cluttered and messy. Unless you want it that way. 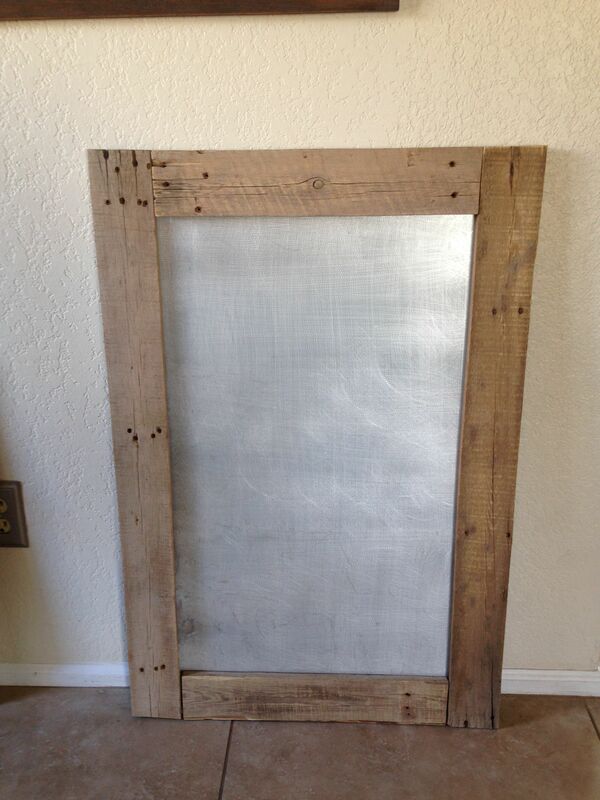 It’s an easy project you can wrap up with a hardware store visit and a few hours. 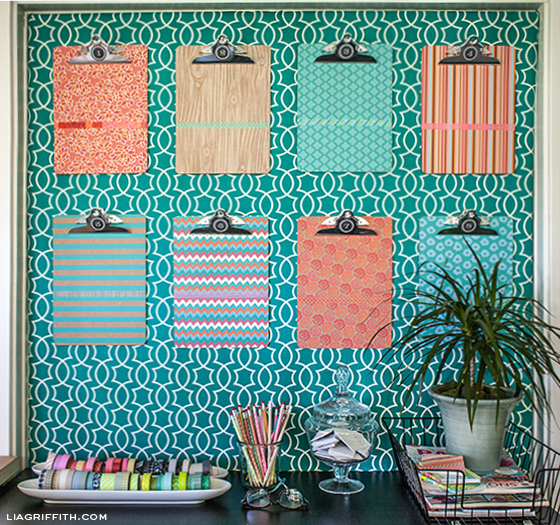 If you’re tired of cork board and other traditional bulletin board materials, check out the clipboard-style wall Lia Griffith created for her office. This is an excellent way to organize papers if you need the structure of a filing system but want to see everything out in the open. 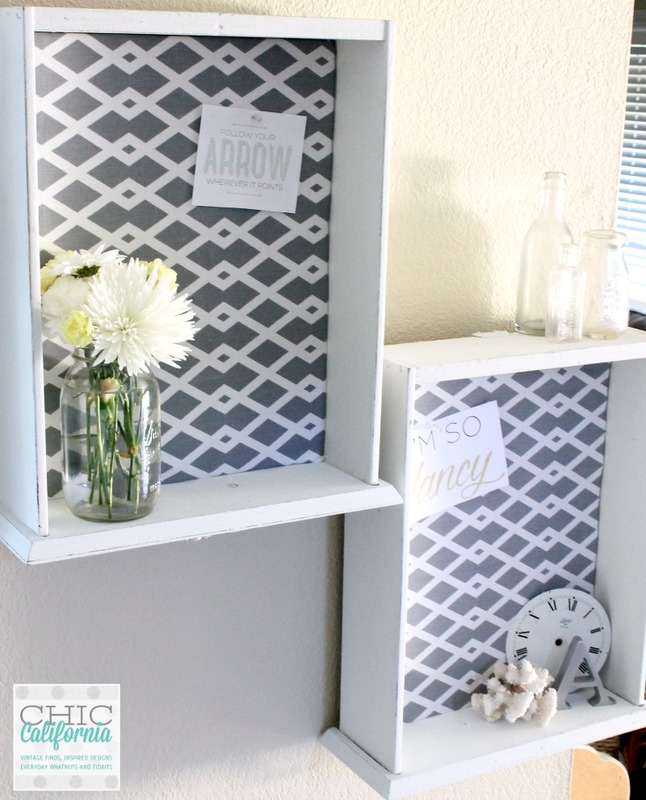 Using label papers and washi tape, Lia decorated basic clipboards to give them new life – and it spruced up the room as well. For extra organization, she used chalkboard labels on each clipboard, but you can also use your own system – or none at all – to create something that fits your style best. Need more inspiration? Here are more clipboard ideas from Martha Stewart. You can also find some decorated clipboards from Bazic and Acrimet on Amazon. 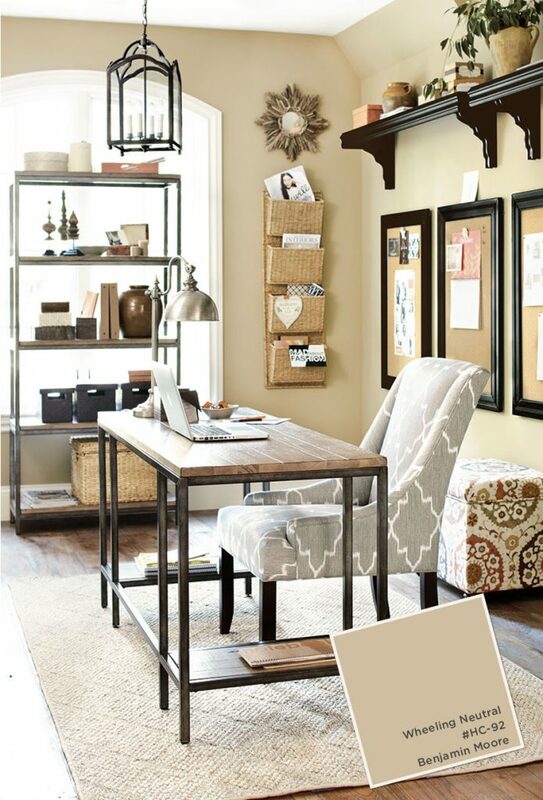 When you need a home office that inspires, the bland brown of cork board just won’t do. In that case, consider covering a cork bulletin board with the fabric of your choice – something that will give your home office that flair and personality you need to be productive. Sara D. offers a great tutorial on how to turn a boring cork board into something more lively and fitting to your home office color scheme. With just a few simple supplies – cork board, fabric, glue and spray paint – she turned a bland bulletin board into one that matched the vibe of the rest of her home office space. Do you need less board and more grid? Check out this beautiful and functional wall organization project from Coco Kelley. It’s easy to make – just grab some reinforcement (or hog) panel, spray paint and a few office clips – and looks like it costs far more than it does. It’s a quick and easy way to spread out ideas, memories or whatever else you need to organize, and there are plenty of ways to make it uniquely yours. Bulletin boards by nature are informal and a little messy – but they don’t have to be. 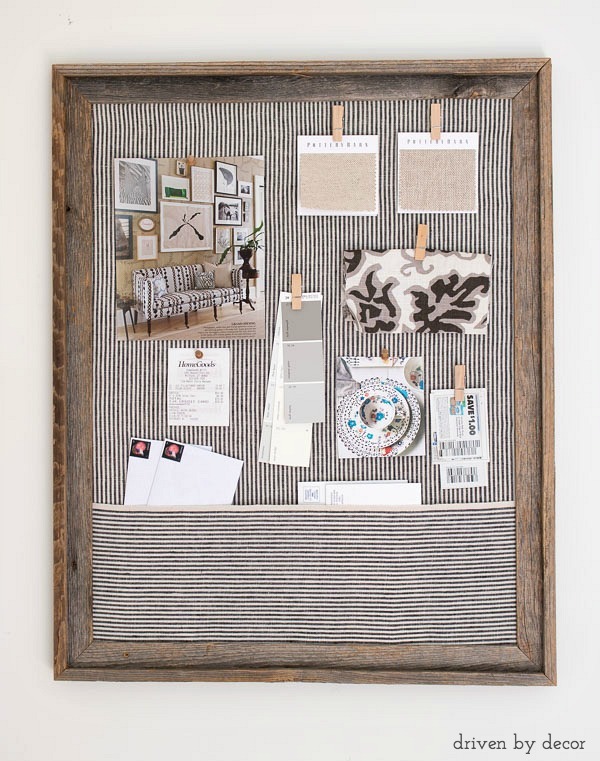 If you need the convenience of cork board without the casual look, consider going with framed bulletin boards. 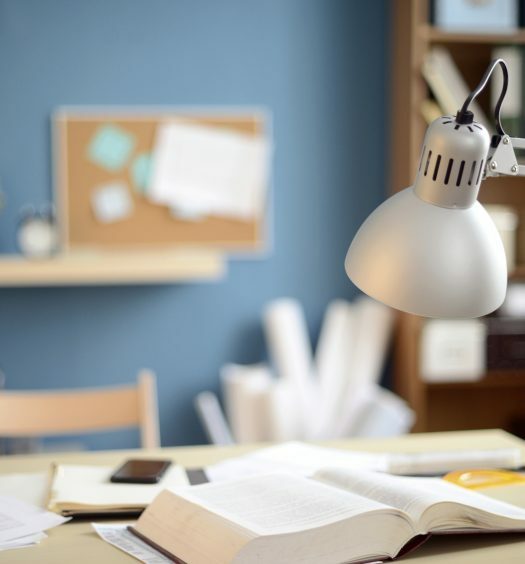 You can pick frames specifically for this purpose, or find old frames and re-purpose them by using a color that matches your office’s color scheme. 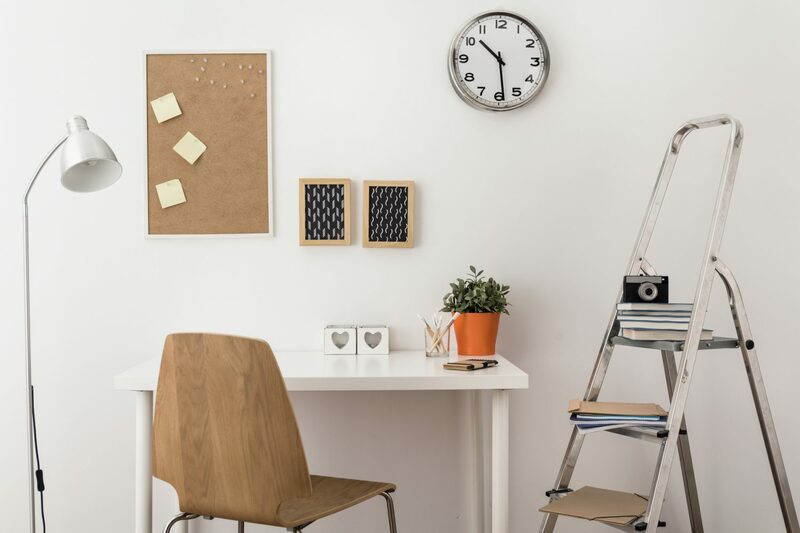 You can get thin cork board that doesn’t have its own frame, or remove the cork board from a framed board. Insert the cork just as you would a picture and you’re good to go. 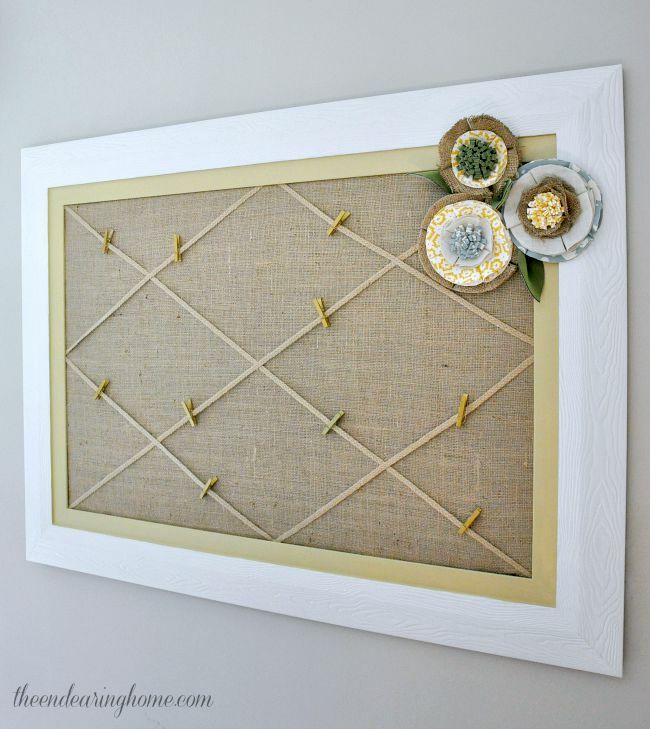 For a framed bulletin board with a little more style, consider making a burlap board repurposed from an old picture frame. 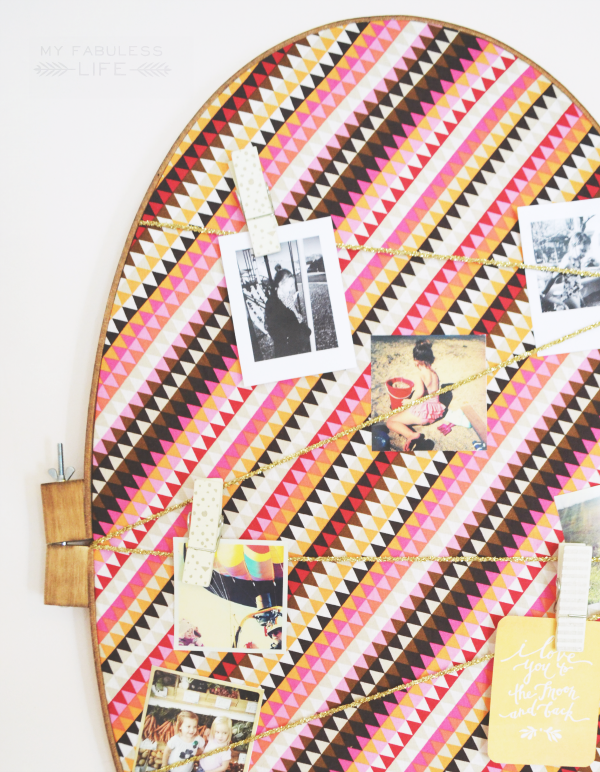 At The Endearing Home, you can learn how Lauren took an old photo collage frame and turned it into this chic bulletin board while spending less than she would have to buy a similar one. Don’t want to go the DIY route? Check out these burlap bulletin boards from Amazon. For those thinking outside the rectangle, consider this embroidery hook bulletin board from Jenn over at My Fabuless Life. It’s unique, easy to customize and we can almost guarantee your friends don’t have the same one. It’s about as easy as it gets: stain a large embroidery hoop, which you can find at any craft store, and stretch your favorite fabric as tight as it’ll go. A little hot glue, some twine and memories and you’re set. 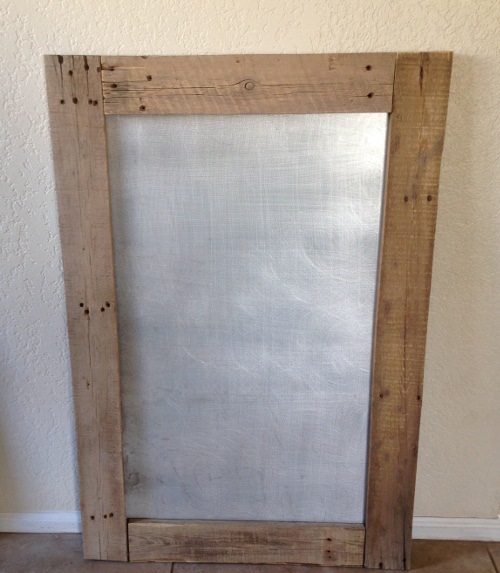 If your home office has a more country or shabby chic feel, check out the sheet metal-pallet combination that makes for a big, bold bulletin board statement. Grab a magnetic sheet, find some good-lookin’ wood and boom – you’re good to go. Get some magnets or even a set of magnetic baskets and you’ll have plenty of wall space to organize whatever it is in your home office that needs organizing. 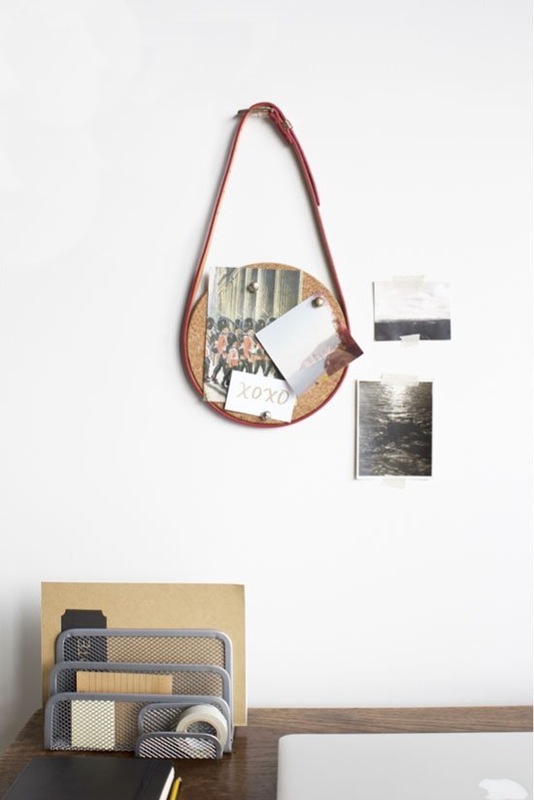 Perfect for apartments, dorms, and other small spaces, this bulletin board hangs by a belt, though you could also use twine or anything else strong enough to support the cork circles. These are easy to make, hold enough pics or notes to keep you inspired and offer a fresh, unique take on bulletin boards. 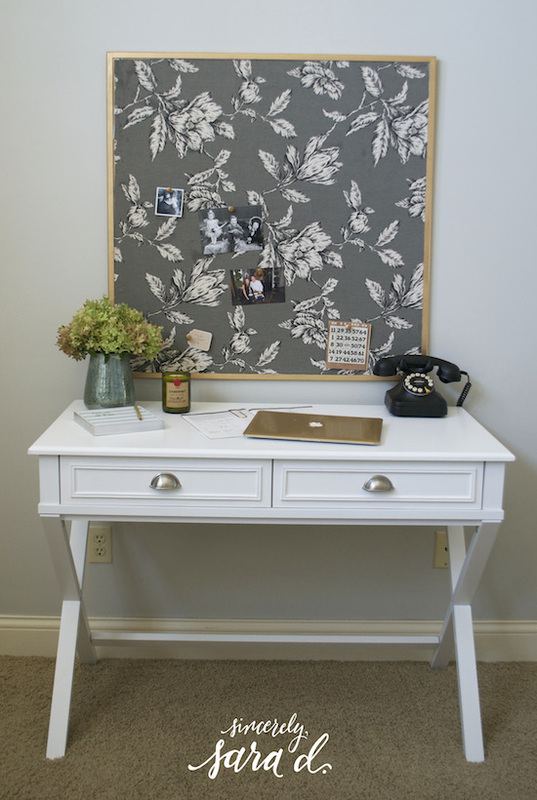 This home office bulletin board goes the extra mile when it comes to using fabric. Instead of just using the fabric as a backdrop, Kris at Driven by Decor added an extra pocket to hold mail and other miscellaneous things. It may require a little sewing, but you can get away with a no-sew option if the fabric you use for the pocket has clean seams. For a more colorful variation, consider using two different fabrics or a frame that contrasts, though we love the clean, old-wood look of the frame Kris used above. There are those among us who love shadowboxes, and if you fall into this category, we are here for you. Rather, Adrienne at Chic California has something for you: a bulletin board made from thrift store drawers. It’s a great way to give your office space depth and character, especially if you’re looking for something more decorative than functional. It’s easy to customize – with the right paint and wallpaper (or another decorative background), you can turn an old drawer into a work of home office art. 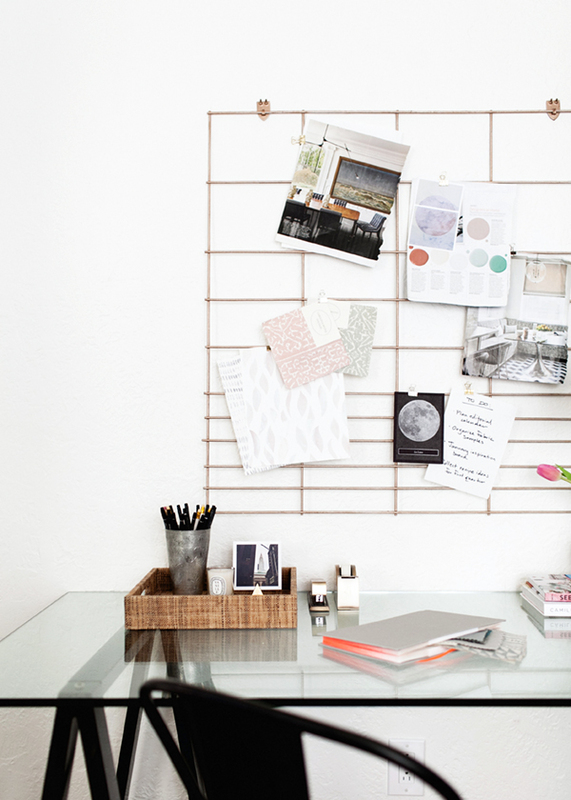 Forget the less is more approach: when you need a lot of space for a lot of things, consider a giant cork board. 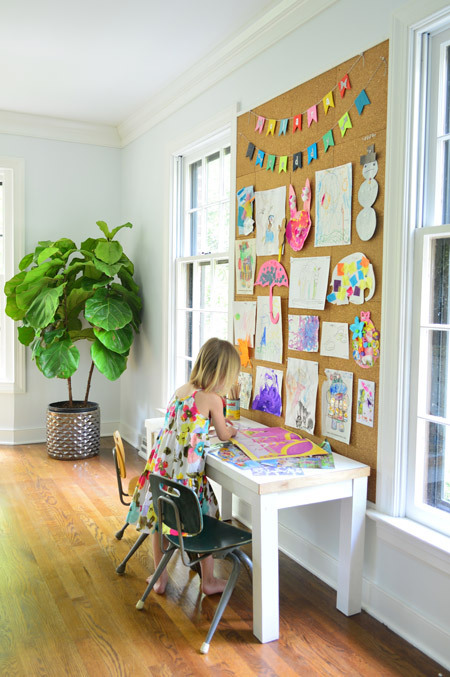 Perfect for kids or any home office area that needs a lot of stuff presented at once, a large bulletin board is a great way to visually display what you’re all about. John and Sherry at Young House Love offer a great tutorial on how to make a large bulletin board, and there are plenty of steps along the way to put your own tastes and personality into your final product.